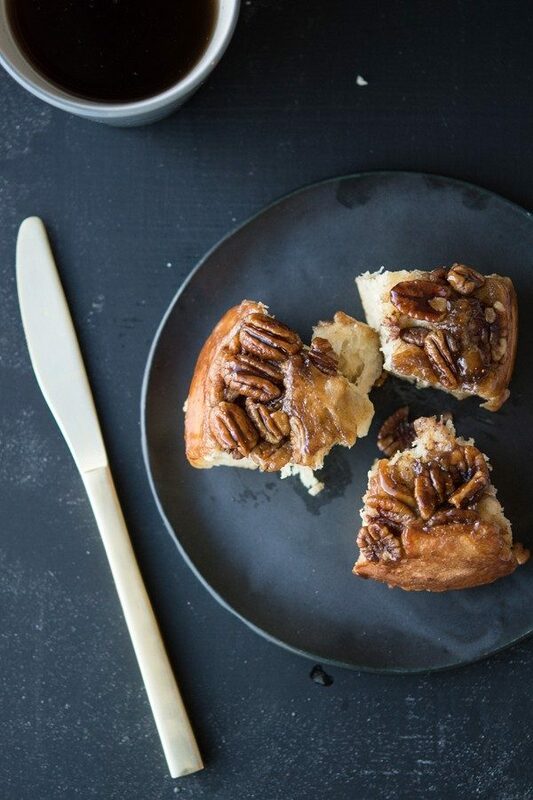 Apple Pecan Sticky Buns are perfect for fall weekends, best served piping hot and just out of the oven. Today’s post for Apple Pecan Sticky Buns is a guest from Keith and Jackie of the delicious blog, Superman Cooks. If you’ve never visited their blog, I promise you’ll absolutely adore it. Be sure to check out their Broccoli Cheddar Mashed Potato Soup and their Butter Pecan Cheesecake Triangles – you can thank me later! Picture a fall day: the leaves are turning brilliant colors, the sun is shining, and the air is brisk. The intoxicating smell of warm Apple Pecan Sticky Buns fills the house. Grab a cup of coffee, the newspaper and a few of these delectable treats and relax. 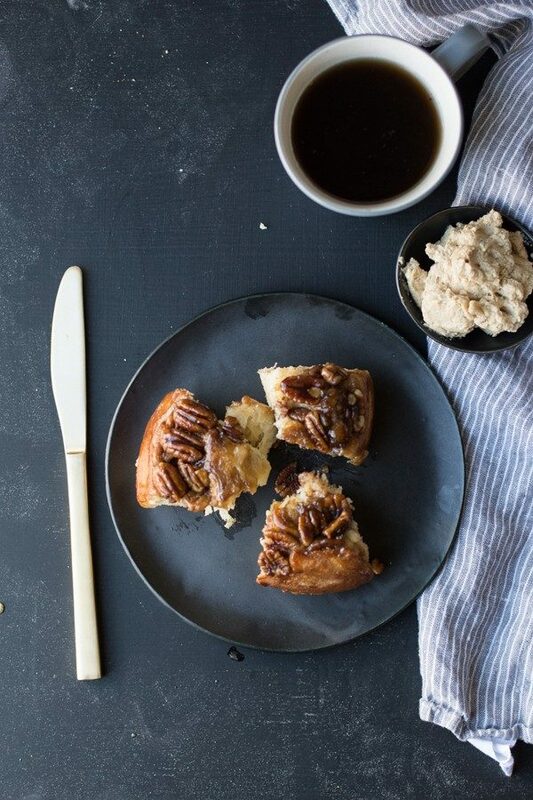 This scenario may be a dream for most of us, but I like to think that one bite of these warm sticky buns has the power to transport you to a happy place. As Superman Cooks readers know, Jackie is the baker in our partnership, but I decided to allow her a well-deserved break and give this idea a try. I have to say that I think they turned out great. 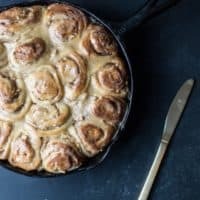 I am crazy about the pictures that Jackie took of my sticky buns, but they do not do the taste or the smell of these little beauties justice. 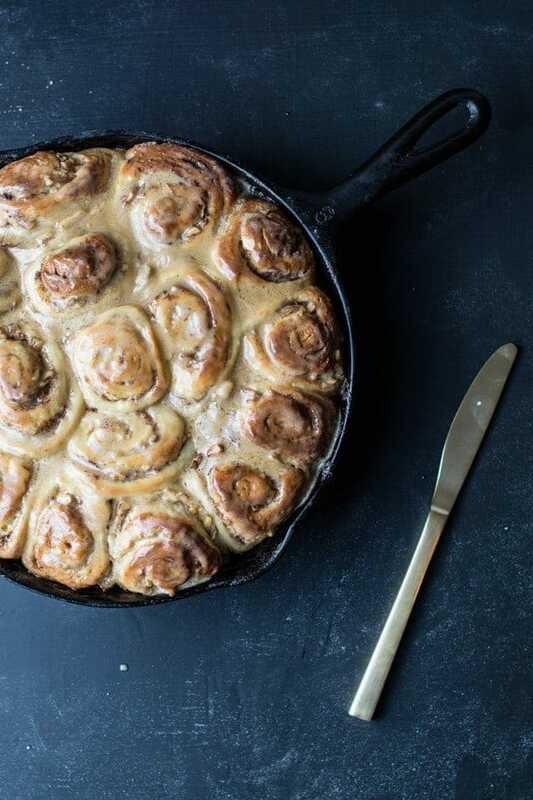 The aroma of these sticky buns baking in the oven on a weekend morning is amazing, kind of like the smell of my teenage daughter’s bedroom when she has three different sugary-scented candles burning at once (except one hundred times better). These sticky buns look like you ran to the local bakery and picked them up, but the sweet aromas are proof that they were made with love. We actually made extra sugary topping to spread on the buns once they were out of the oven because it tasted so heavenly. The trick to this recipe is to try not to eat all the sugary topping before the rolls were done baking. I could be found dipping pecan pieces into the buttery topping (like chips in chip dip) as I waited for the buns to rise. This is my kind of baking: the kind where you make extra to share with your favorite people, the kind that can to transport you. In a small pot, bring milk to almost boiling. Remove from heat, add butter and allow to melt. 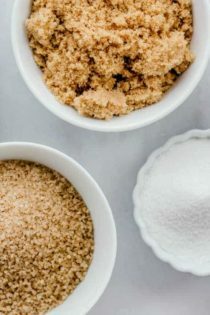 Combine the flour, sugar, yeast and salt in a stand mixer with dough attachment. Slowly add the milk mixture and eggs until combined. Knead on low for 6-8 minutes until ball is formed. Remove from mixer and place in a large bowl that is sprayed with cooking spray. Cover loosely with plastic and set aside for the dough to rise about 1½ hours. Turn the dough onto a lightly floured surface and roll out to measure 13x20 rectangle. Melt 8 tbsp butter (from filling) and spread with pastry brush over surface of dough. Sprinkle cinnamon and sugar mixture over butter covering entire surface. Sprinkle finely diced apple over entire sheet of dough. Starting at the small end roll dough to form pinwheel. Once done, cut log with serrated knife into 12 equal pieces. To make the topping: In a mixer, mix together butter, syrup and brown sugar until fluffy (about 5 minutes). Take topping mixture and place in bottom of pan and spread until covered bottom. Top with 2 cups of pecan halves. 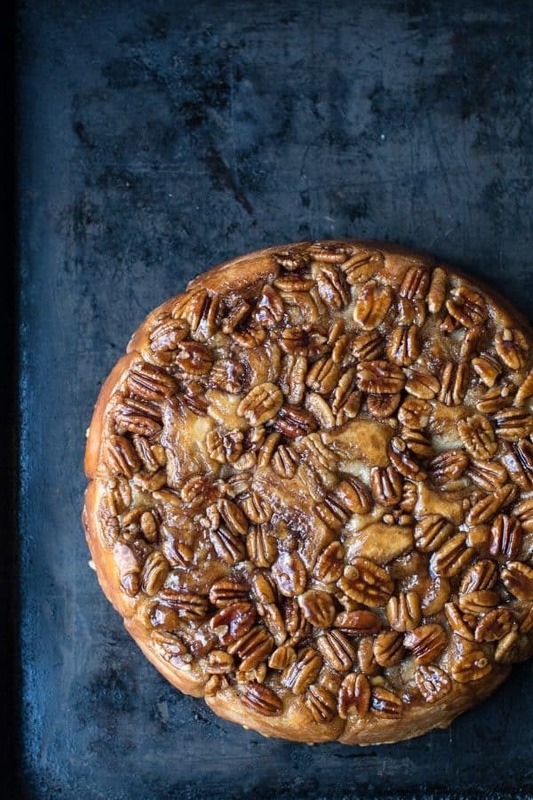 Take the cinnamon rolls and place in pan on top of pecans . Cover with plastic wrap and allow to sit at room temperature for 1-2 hours until rolls have risen and are touching each other. Preheat oven to 350°F and bake rolls for 20 minutes or until golden brown. Place inverted plate on top of rolls and being careful flip pan over and remove pan. The topping will be very hot so be careful to not get on skin. What a dream! This flavour sounds incredible! Oh wow, sticky bun heaven right here!!!! Oh wow, I am drooling over this! I love sticky buns so much! Recipe says makes 12 rolls, I see around 15 in skillet. But look good, especially after they are flipped out of pan. Tomorrow I make these!! Surprised only requires 1 apple. Dont have cast iron skillets here in Mexico, so I’ll have. to use 9×13. How about using buttered parchment paper?